ICFs are a lightweight and efficient forming system used to build solid concrete walls. After filling the forms with concrete, they are left in place providing a continuous insulation and sound barrier as well as backing for drywall on the inside and stucco, siding, masonry, or stone on the outside. Insulated Concrete Form building envelopes can reduce heating and cooling costs by up to 70% compared to other materials, making it the single biggest and most cost-effective cut in a building's total cost. The use of Insulating Concrete Forms (ICFs) is one of the fastest growing sectors of the construction industry. 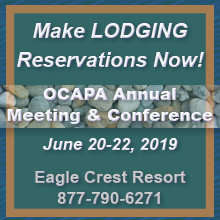 Contact us for a referral to an OCAPA member who specializes in ICF construction in your area of Oregon or SW Washington.